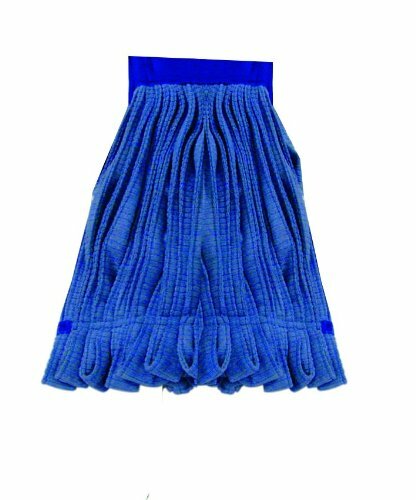 The Impact LF0003 microfiber tube wet mop is a large wet mop head made of blue microfiber with a canvas headband and tailband and can be used with a clamp-style mop handle (sold separately) to mop floors. Microfiber absorbs liquids, resists shedding, and can be laundered. A textured finish allows the mop head to hold dirt until washed. A tailband provides wide floor coverage. The headband is made with canvas to resist wear. The color of the microfiber may be used to distinguish the wet mop from other mops for particular cleaning tasks. The mop head weighs 500 g.